A hungry lion seeks out the weakest member of a herd. Once he spots a vulnerability, he goes in for the kill. It’s brutal, but for the lion it’s a matter of survival. Predatory people are a lot harder to justify. Everyone knows it’s wrong to pick on the little guy. So why is the temptation to torment them still so great? Bullying has always been a part of life, but the concern over it seems greater than ever. 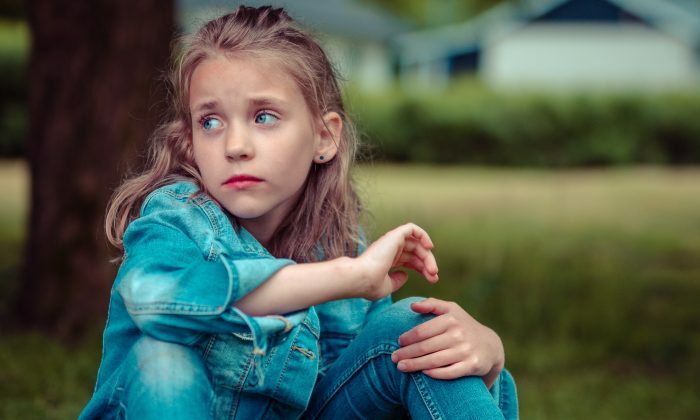 Part of the reason, according to Dr. Katie Davis, a child clinical psychologist practicing in New York’s Upper East Side and a researcher at John Hopkins, is that parents today are more aware of the impact bullying can have on mental health. “With all these recent discussions of high profile suicides and school violence, parents get worried and think, ‘What if this becomes my child?’” Davis said. Efforts toward bully awareness and prevention have increased, but in the fervor to eradicate this behavior, Davis says the term has stretched beyond its true capacity. To rightfully earn the bully label, there has to be an imbalance of power. The fight has to be clearly unfair. The bully has to have one up in strength, size, or social status, and use this advantage to control his or her victim. Bullying may incur physical harm, but it’s the emotional scars that can be far more devastating, especially when victims take their abuse to heart. With repeated bullying, some kids stop seeing their treatment as an injustice, and begin to believe it’s a punishment they deserve. Danielle Matthew, a licensed family therapist specializing in treatment for bully victims, describes one client, Jeremy, who had been verbally and physically bullied for years. During the first few sessions with her, Jeremy repeatedly stated that being bullied was just part of his life. He was convinced his situation would never improve. Matthew says lots of kids share Jeremy’s experience, and may even carry it into adulthood. In some cases, bully-driven hopelessness can turn fatal. Matthew first noticed this pattern while she was working for an insurance company doing authorizations for hospital stays. In over six years of calls for hospitalized adolescents who were either trying or threatening to kill themselves, Matthew began to see a clear connection between suicidal tendencies and experience with a bully. “A lot of times parents do not even know their kids are in trouble until they’re in an inpatient unit for attempted suicide,” Matthew said. Moms and dads miss warning signs, according to Matthew, because kids intentionally try to hide that they’re being bullied. They’re deeply hurt, but they don’t want to disappoint their parents or burden them with their problems. They also lack the emotional fluency needed to process their trauma or figure a way out of it. They feel trapped, isolated, embarrassed, and doomed. “They feel like there is nothing else they can do but leave the world,” Matthew said. The effect can be magnified with cyberbullying. Before the internet age, bullied kids at least got a break from their tormentors when they came home. But now that so much of our social interaction plays out online, the modern bully has access to personal details that they can poke whenever the mood strikes. Their target is vulnerable and always in reach. Davis doesn’t believe kids have gotten meaner, but she says cyberbullying makes it a lot easier for them to be mean. It’s more anonymous. There’s less adult oversight. They have the freedom to say really horrible things about other kids to a wider audience, and they never have to see the faces on the receiving end suffering in silence. So what separates the kids who can cope with being bullied from those who can’t? Davis says the most important factor she sees in her practice is strong social connections, where kids feel like someone—anyone—is looking out for them. At the same time, adults who get too involved can make the problem worse. Matthew finds that when parents insist on taking control, their kid typically suffers more. Not only does the victim feel even more powerless, but the bully who gets in trouble seeks revenge. So he looks for crueler yet more covert methods to attack those who rat him out. “Kids want to handle their own problems. They don’t want mom or dad involved, nor do I suggest it,” Matthew said. In her new book, “The Empowered Child: How to Help Your Child Cope, Communicate, and Conquer Bullying,” Matthew explains that what kids really need is emotional support so they can formulate their own plan. Bullying is basically a dirty power grab through intimidation and disrespect. For kids trying to regain their power from a bully, Matthew encourages them to consider their range of control—identifying what they can change, and what they can’t. Kids bully for several reasons. Sometimes it’s because someone else is beating up on them. Other times they’re simply copying the aggressive behavior of their parents or other role models they admire. Some may bully because they’re irritated when someone is more sensitive than they are; others lash out at those they’re jealous of. Kids can act alone, or gang up on an individual—mocking, gossiping about, or ostracizing their target for entertainment and a shared sense of dominance. But what makes someone want to make someone else suffer? Thomas McSheehy is a social worker and founder of the Teaching Heart Institute—an organization devoted toward spreading social and emotional intelligence to kids and adults. He says that anger, shame, and fear are at the core of why kids bully. They don’t feel good about who they are or what they feel, so they dominate others in hopes of working out their problems and boosting their self-esteem. The high stress and stimulation of modern life turn this lack of emotional literacy into a pressure cooker. As an elementary school teacher for over 20 years, McSheehy has watched as kids have been forced to navigate an increasingly complex world. Those with no impulse control or constructive outlet to vent their energy are even more driven to pick on others. McSheehy says that when kids are taught how to appropriately handle their emotions they are much less likely to bully. The training also helps kids who are bullied be more resilient to taunts and jabs. “They will have the ability to handle the stress,” he said. Most everyone knows what it’s like to get picked on, but some kids seem to be bully magnets. They attract torment like moths to a flame. They switch schools to get away from one predator, only to adopt another at a new location. According to Erica Hornthal, a clinical counselor and board-certified dance/movement therapist in Chicago, these kids may be unknowingly broadcasting a signal that brings unwanted attention. “I think there are definitely postures that we take on that allow predators or bullies to spot us,” she said. Dance/movement therapy is a modality that addresses non-verbal communication. Hornthal uses this treatment method in schools to help kids learn how to empathize and embrace compassion, and in workplaces where adults struggle with grown-up bullies. Hornthal says people who get their spirit crushed easily show it in their body for everyone to see. For example, people who are hurt by a bully’s words often adopt the same kind of wounded posture they might take if they were punched in the gut: hunched over, looking down, and afraid to make eye contact. It’s the sign of an easy mark for an insecure, power-hungry bully. A victimized mind can be slow to change, but Hornthal believes that we can support the process with physical practice: standing tall, learning to make appropriate eye contact, and holding your ground with a firm stance. It’s about feeling what it’s like to be confident in your body, so your mind has a feeling to follow. Self-doubt can be particularly haunting for teenagers who are just trying to figure out who they are, but it can prey on minds of any age. A bully can exploit our insecurities, but only if we let them. Hornthal says that whenever we feel like someone has power over us, we can find a way to take it back.